Have you ever thought about what would happen to your pet if you died first? Who would be there to provide food, shelter, comfort and love? How would a prospective caregiver know about your pet’s needs, such as medication or a special diet? What are some of the options available to plan for your pet’s future? Professor Gerry Beyer, of St. Mary’s Law School in San Antonio, is a well-known authority on estate planning for pets. In his article, “Estate Planning For Non-Human Family Members,” he writes about three simple measures that any pet owner can accomplish as part of an overall plan. The first is an owner-prepared “animal card,” to be carried in a purse or wallet. The card should include the pet’s name, species, location, special instructions and contact information of a person who has access to the pet. That way, if the owner is involved in an accident, emergency workers can take the necessary steps to notify the appropriate person, so immediate pet care can be provided. In addition, an owner can prepare an “animal document,” which includes exactly the same information as the animal card, plus more specific details regarding the pet’s long-term care. The animal document can easily be placed among the owner’s estate planning documents, where it is likely to be read. Pet owners should also consider posting signage at home. Self-adhesive stickers designed for outside doors and windows alert emergency personnel that an animal resides in the dwelling. Indoor signs can be personalized to include emergency contact information for caregivers, veterinarians and neighbors. 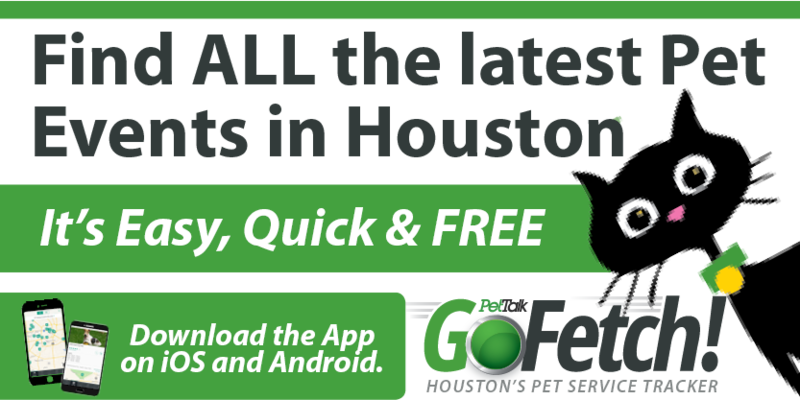 The stickers are available from The Humane Society of the United States (202) 452-1100, or through the retail store of the Houston SPCA (713) 869-7722. These simple steps will help assure a pet’s survival until the owner’s long-term pet care plans can take effect through a legal document that would be enforceable in court. They are only part of a comprehensive plan. In his article, Professor Beyer discusses many legal documents that can be created for the benefit of a pet, including a trust. The creation of a trust of this type requires a trustee to make distributions to a beneficiary/caretaker to cover a pet’s expenses. A trust can be drafted to take effect during the owner’s life (inter vivos), or upon his death (testamentary). There are advantages and disadvantages to each, and the pet owner should consult an attorney about the specifics and potential issues that could arise, including methods of funding, and the possibility that funds may not be available immediately upon the owner’s death with a testamentary trust. For either type of trust, though, the owner should carefully select the trustee and beneficiary/caretaker, as well as alternates. Both will play a large role in the pet’s well-being. Other important issues related to creation of a trust include: adequately describing and identifying the pet, determining the amount of money that will likely be required to provide for the pet, specifying the type of care the beneficiary/caretaker is to give the animal, frequency of payments to the beneficiary/caretaker, designating a beneficiary who will receive the remainder of the trust funds upon the pet’s death, requiring a trustee to inspect an animal on a regular basis (to ensure that the beneficiary/caretaker is doing a good job), and instructions for final disposition of the pet upon its death. Another legal option an owner may wish to employ is to make an outright conditional gift of a pet, along with a reasonable sum for expenses to a designated beneficiary in a will. A gift of this type is conditioned on the beneficiary taking proper care of the pet. When utilizing this option, it is extremely important to choose a beneficiary who is competent and trustworthy. Although there are advantages to this scenario, one major disadvantage is that there will be no trustee periodically checking in on the beneficiary to ensure the animal is receiving proper care. Additionally, there are organizations known as Life Care Centers that will provide care for an animal when an owner dies, in exchange for a monetary gift made during the life or upon the death of the owner. The amount of payment required varies, and the organization should be consulted regarding enrollment policies. The Stevenson Companion Animal Life-Care Center, located on the campus of Texas A&M University, is known for its excellent reputation in animal care. Finally, an attorney can recommend and draft an estate plan that best suits an owner’s individual needs. To obtain the name of an attorney, contact the Houston Lawyer Referral Service at (713) 237-9429. For more information about estate planning for pets, visit www.ProfessorBeyer.com. *This article is for informational purposes only, and does not constitute legal advice. If legal advice is required, the service of a competent attorney should be sought. Bliss Foster Scharfenberger is a freelance writer and attorney, licensed to practice law in Texas and New Jersey. She is a member of the Animal Law Section of the State Bar of Texas, the Animal Legal Defense Fund, and the Texas Humane Legislation Network.